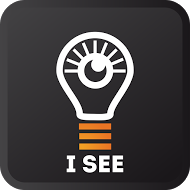 $1 from every App Download goes to The I See Project. “I started going blind when I was 17. This past year (2015) I qualified for a new surgery and a new implant that gave me my vision back. I’ve been blessed—and I want to pass that blessing on to others. It’s why I have set up The “I See” Project—which will direct a portion of the revenue from my business to helping other’s get their vision back too. And what could be more important in life then knowing how to get to yes with people? It effects every area of our lives—personal and professional—and the truth is we often mess it up. We make it HARDER for people to say YES to us when we need to—and often in the most important situations we face. I believe we were all put here to make a difference, and everything I do is focused on helping you (others) make more of a difference in your (their) world. You can make more of a difference when you get to yes with people. I believe I can help you get to yes faster and we can help others to see.